It’s no secret that I am a sucker for anything skincare related and I do love a good eye cream. As I get closer to 30 anti-ageing eye creams are a big thing for me, I want to minimise the effects of ageing and hopefully stop fine lines in their tracks with all these lotions and potions. At the minute I don’t really have visible lines around my eyes, but I do have dark circles and very tired looking eyes with a few tiny under eye creases. 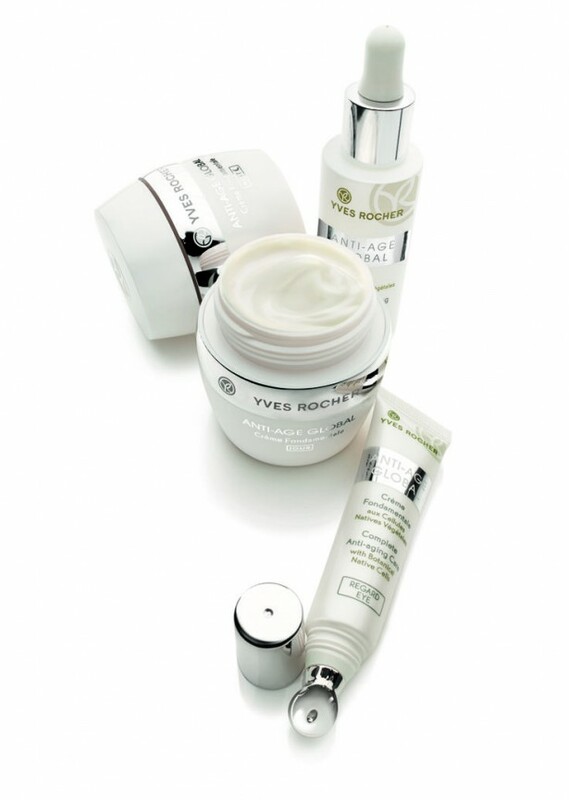 Yves Rocher Complete Anti-aging Eye Care (£37.00)* claims to provide moisture, smooth wrinkles and reduce fine lines and dark circles – which all sounds good and pretty much what I want in an eye cream. 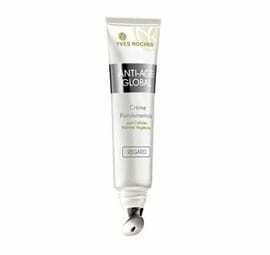 The Yves Rocher Complete Anti-aging Eye Care has a nifty little metal applicator which makes applying the cream hygienic and also helps with the results; the metal applicator feels smooth and cool on your under eyes and helps to evenly distribute the cream whilst helping lessen puffy eyes. My one problem with this is that you need to make sure you have enough product dispensed otherwise it can drag on the eye area a little. Other than that it does feel lovely and refreshing on the eyes. The cream itself takes a little while to absorb but I found that if I gently pat it after using the applicator it speeded up the absorption a little. The cream is lightweight and not too rich which I hate when it comes to eye creams, as it can feel like your eyes are being weighed down with richer formulas. The area around my eyes instantly felt refreshed and more awake, it took a few more days of applying this day and night for me to notice a difference in the appearance though; my dark circles looked a little lighter and my eyes appeared less tired. Although the results were not instant over time this has made a difference in the appearance of my dark circles, which let’s be honest is a miracle with how dark mine are sometimes. This isn’t top of my eye cream list but it’s within the top 10, I don’t think I would be quick to repurchase this at full price but I would consider it if it was on offer like when I originally purchased it.